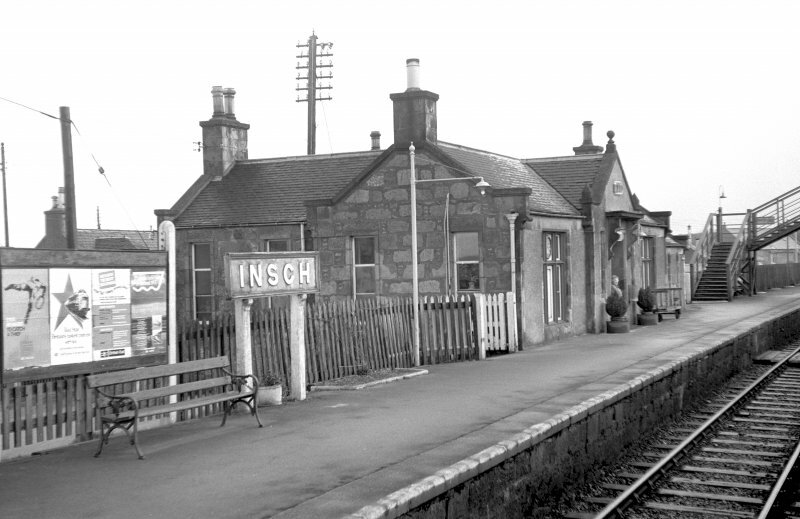 Insch Station, 1854, Great North of Scotland Railway. Two-platform through station with, on up platform, a low stuccoed conceit, dated 1880, with two narrow wings to rear (U-plan), and a heavily consoled doorpiece flanked by triple windows with wooden mullions and transoms; prominent skewputs. 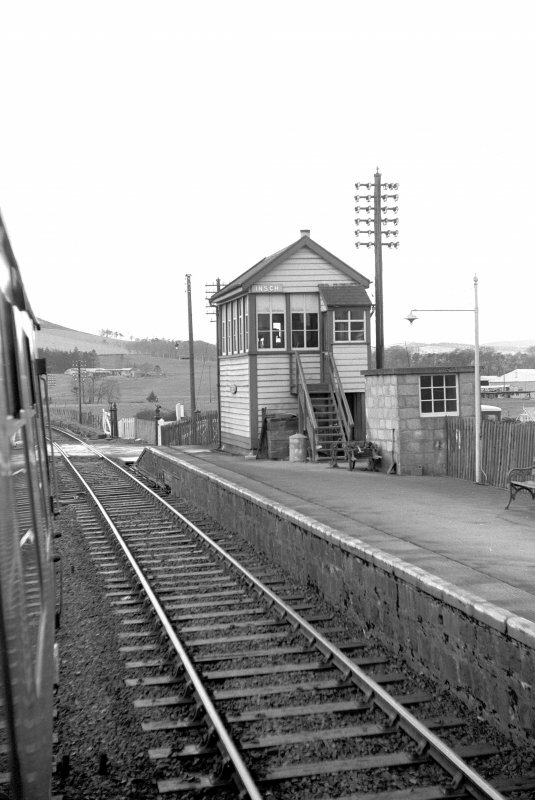 Wooden signal box at level-crossing and good wooden footbridge. For adjacent Station Hotel, see NJ62NW 118. (Location cited as NJ 630 276). Opened 1854 by the Great North of Scotland Rly). 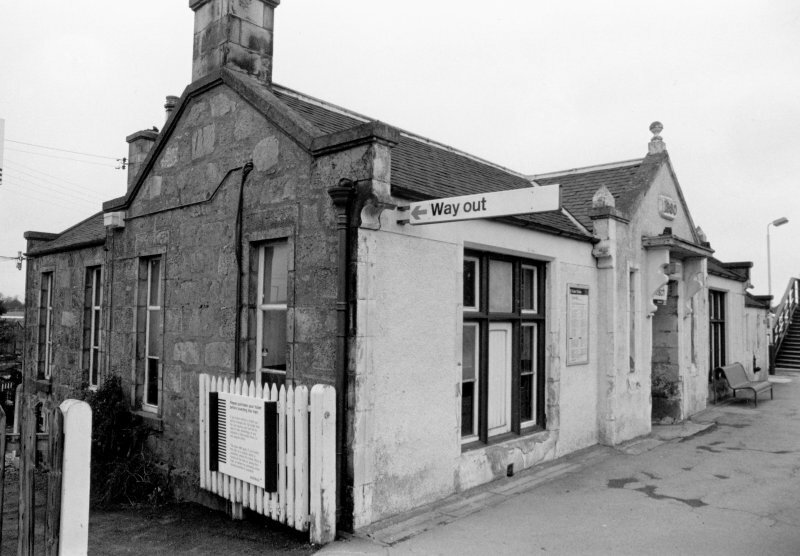 A 2-platform through station with the main offices on the up platform in a single-storey rubble building, part harled, on a U-plan, with an ornamental gabled platform entrance, dated 1889. The down platform has a neat wooden shelter, and the platforms are linked by a wooden footbridge of standard GNoSR pattern. Insch Station, 1854, Great North of Scotland Rly. Two-platform through station with, on up platform, a low stuccoed conceit, dated 1880, with two narrow wings to rear (U-plan) and a heavily consoled doorpiece flanked by triple windows with wooden mullions and transoms; prominent skewputs. Wooden signal box at level crossing, and good wooden footbridge. This intermediate station on the Aberdeen-Inverness main line of the Great North of Scotland Rly. (subsequently grouped into the London and North-Eastern Rly.) 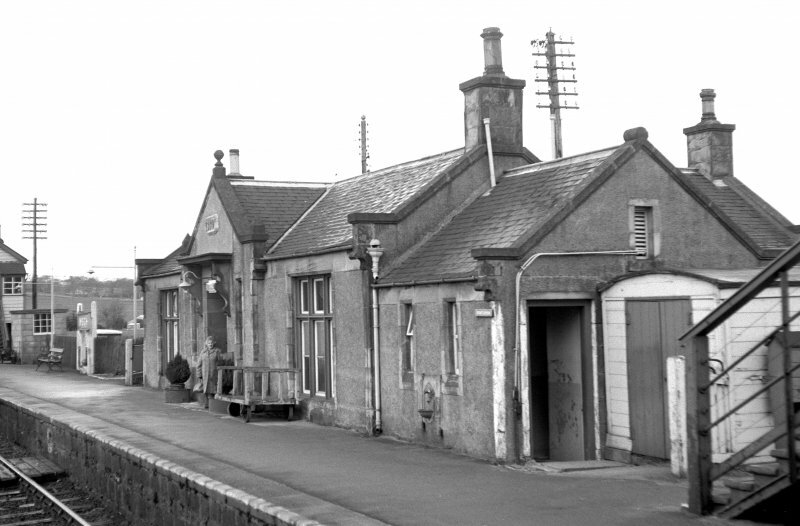 was opened on 20 September 1854, and remains in use for regular passenger traffic. Information from RCAHMS (RJCM), 15 January 1997.